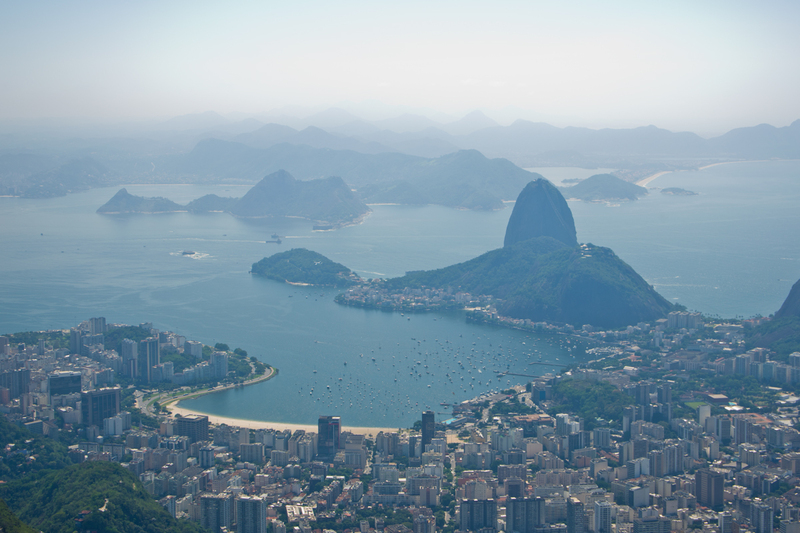 Some photos from two of my favorite restaurants in Ipanema. The first is Bazzar Cafe atop the Livraria Da Travessa, and the second was Ipanema Sushi, just a block away from our AirBnB apartment. Full Yelp reviews are here: Bazzar Cafe and Ipanema Sushi. 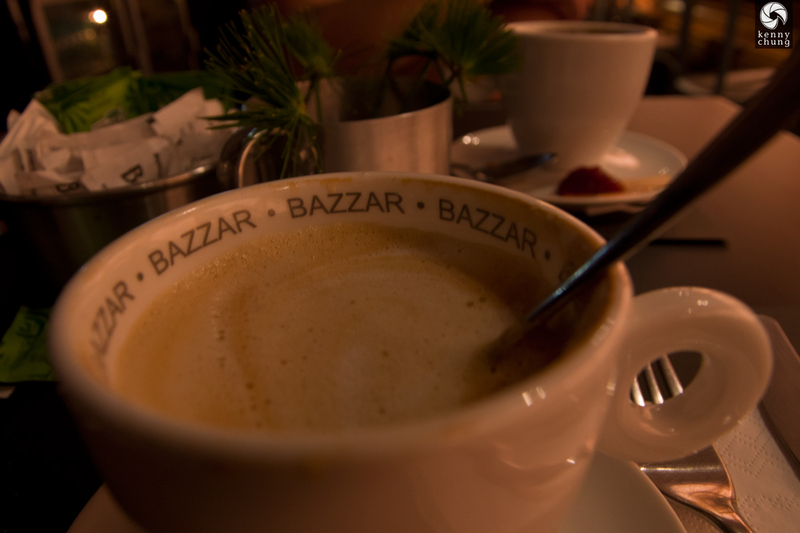 There are actually two Bazzar Cafe locations, but we chose to go to the one closest to our apartment. 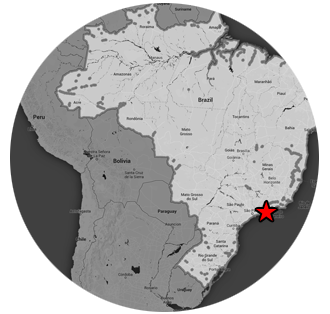 It was located atop a book store (Livraria da Travessa). 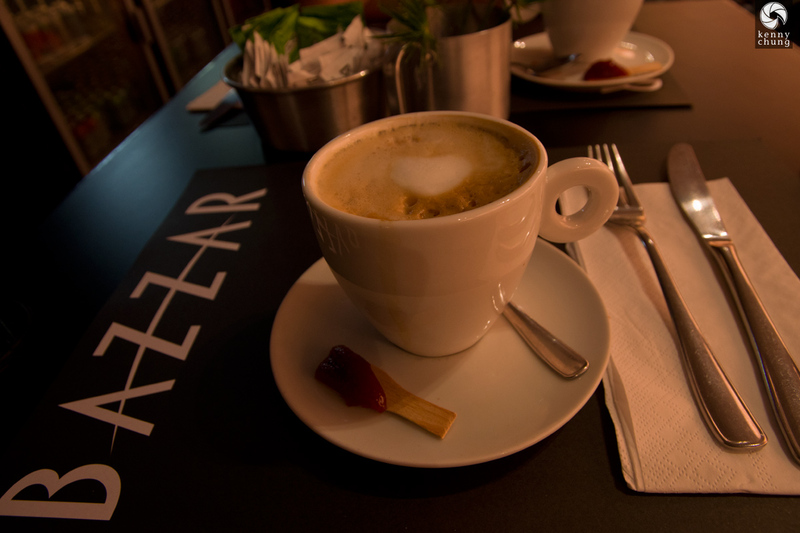 This was probably my favorite coffee that I had in South America. Another view of the Bazzar Cafe cup. 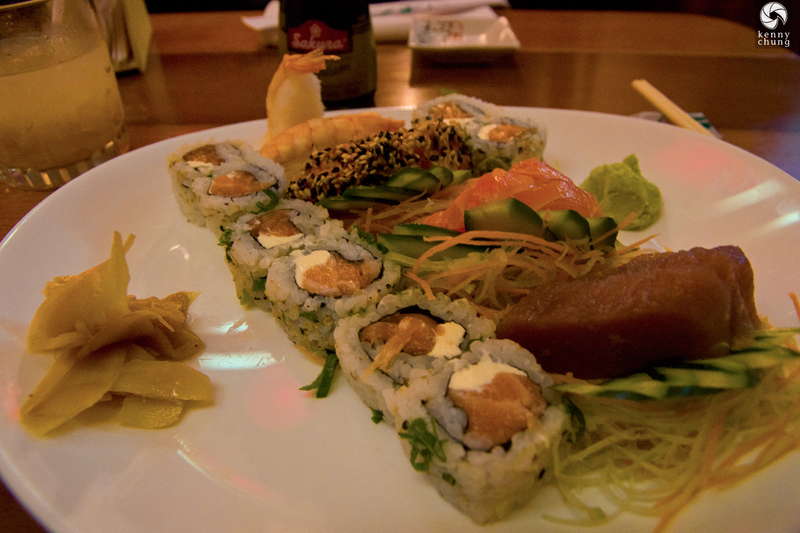 Couldn't go to Brazil without trying their famous sushi. 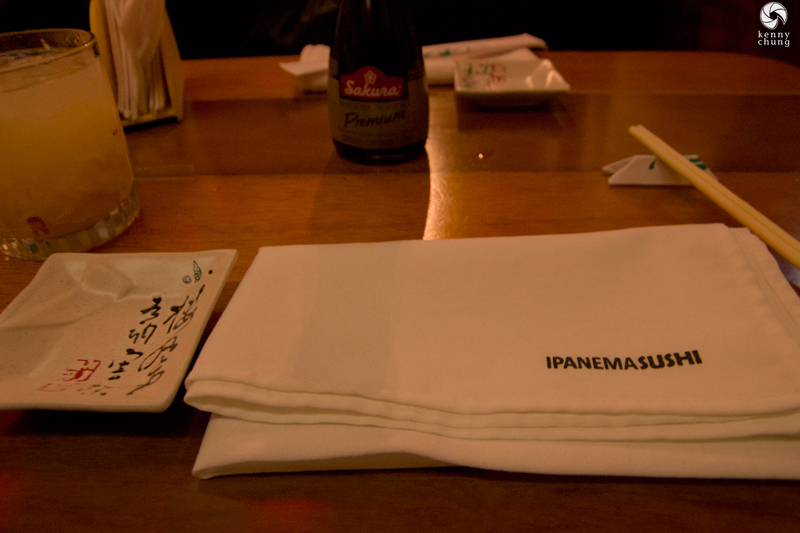 We didn't have to travel far, as Ipanema Sushi was literally a block away from our apartment. 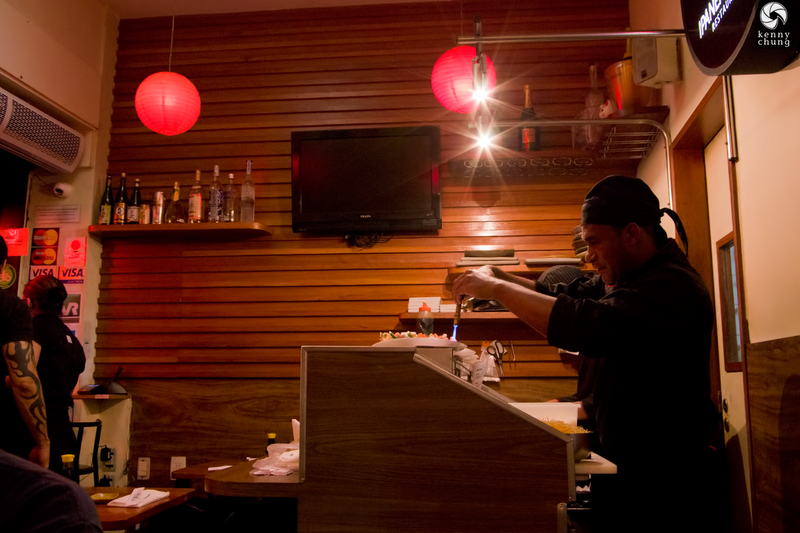 A chef at Ipanema Sushi torching some rolls. I had the Combinado Especial, which was a whopping 19 pieces. They really love Philadelphia Cream Cheese here, and basically add it to everything!